Mac OSX Mojave - latest version. It seems to go through the whole process then an error message indicates that the installation failed. See attached screen capture. Do you have any antivirus software installed which could be blocking the update? 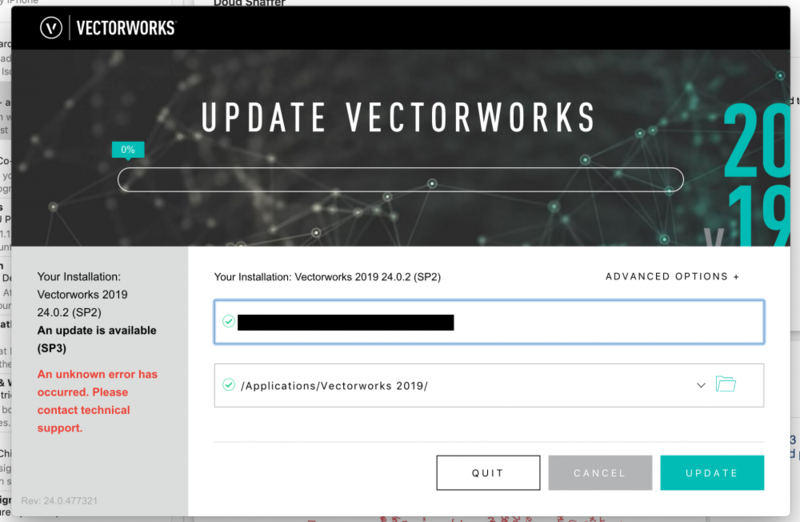 If not then please try reinstalling Vectorworks using the latest download as this will have SP3 packaged with it. That's what I ended up having to do. All is working now.